With releases of consistently delicious beers one right after the other, I had always wished on star after star that Slumbrew, from my adopted hometown of Somerville, would show everyone how to brew a delicious pumpkin beer. I must’ve finally picked the right one, because this year, Slumbrew has brewed not one, but two pumpkin brews. Slumkin pours a warm shade of amber and bears an aroma that smells richly of actual pumpkin without hiding behind a perfumed mask of an entire spice rack. The smooth onset releases it’s sweet malts in a cordial-like manner, allowing the natural pumpkin’s vegetal state to be wrapped with vanilla and caramel all swirled up into a buttery blanket. If you’re looking for an exploded bottle of cloves or cinnamon, you’ll have to move past this one. The spicing is classily muted. 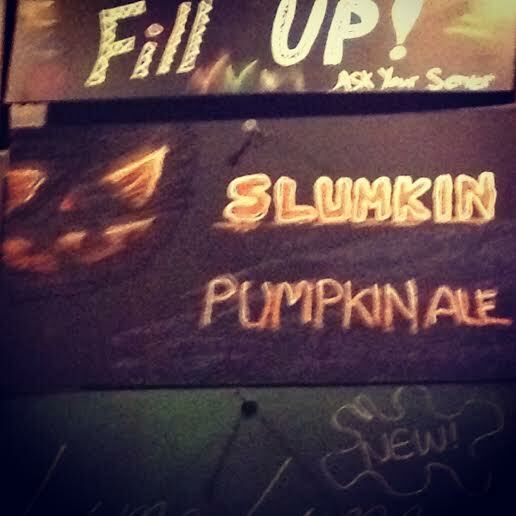 Unlike other pumpkin beers, Slumbrew is unapologetic in their approach to the gourd. They have treated the orange guest of honor by allowing it’s crispness and crunch to do all the speaking, and finding a hop balance that peeks through in the finish that gives Slumkin street cred in the non-pumpkin categories of beer, as well.